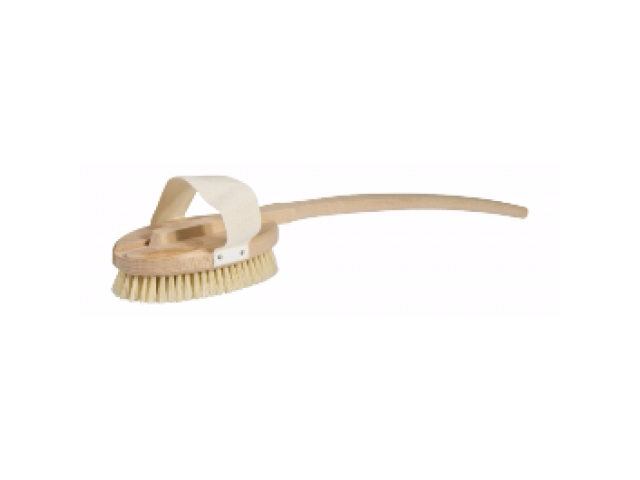 Traditional bath brush with a curved removable handle. Light soft bristle. Untreated beechwood.